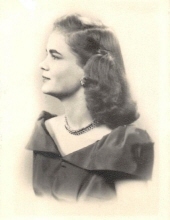 Mary Ann Zajc (nee Valencic) age 87, passed away April 1, 2019 with her family by her side. She was born June 14, 1931 in Cleveland. She was a 1949 graduate of Collinwood High School. She raised her family in Euclid, before moving to Kirtland. Mary Ann was the beloved wife of the late Thomas; dear mother of Marian (George) Yadrich, Joan (Christopher) Caimi, Linda (James) Krepp; cherished grandmother of Christopher (Patty) Caimi, Brian (Erin) Caimi, Kellie (Todd) Lindner, Joseph (Brienna) Pruce, Matthew Krepp; great grandmother of ten; sister of Cecelia (Robert) Dolgan and Joseph Valencic. A Mass of Christian Burial will be held on Thursday April 4 at 10:30 am at Divine Word Church in Kirtland, Ohio. The family will receive friends at Brickman Bros. Funeral Home, 37433 Euclid Ave., Willoughby, Wednesday 4-8 PM. Contributions to Hospice of the Western Reserve would be appreciated. "Email Address" would like to share the life celebration of MARY ANN ZAJC. Click on the "link" to go to share a favorite memory or leave a condolence message for the family.